I love a delicious salad and this one provides a powerful punch of veggies and healthy fats. Preheat oven to 350 degrees. Arrange the walnuts in a single layer on a baking sheet and bake for 8 to 10 minutes until fragrant. Keep an eye on them, nuts burn quickly. 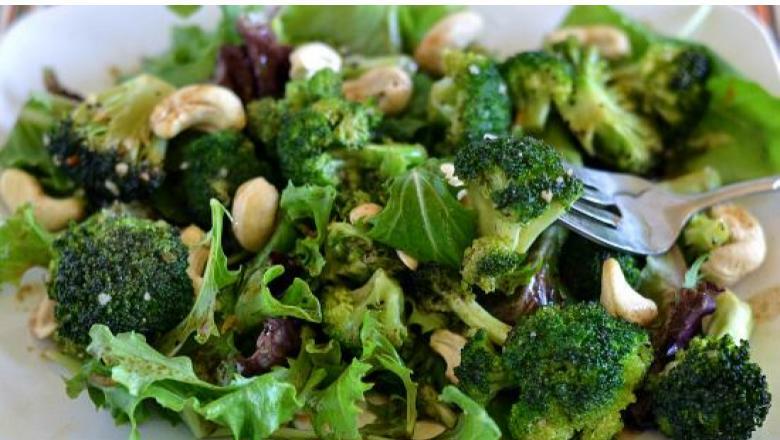 In a large bowl, toss together the greens, broccoli. walnuts and onion. Whisk together all the dressing ingredients in a separate bowl. Drizzle the dressing over the salad and gently toss all the ingredients together. Serve with the your favorite protein such as chicken, fish or chickpeas. Recipe from Joy’s Simple Food Remedies, serves 4.